Lyndon Henry speaking to Central Corridor Advisory Group, 16 May 2014. Screenshot from City of Austin video. The following comments were made during Citizen Communications to Project Connect’s Central Corridor Advisory Group on 16 May 2014. At the meeting, Project Connect’s Urban Rail Lead Kyle Keahey revealed the agency’s estimates and proposals regarding operating & maintenance costs, property valuation and tax revenue increases, funding, phasing issues, and “governance” (oversight and administration) the proposed 9.5-mile, $1.4 billion line connecting East Riverside (southeast) with the old Highland Mall site (north), currently under development as a new Austin Community College campus. For months, Project Connect and Austin civic leaders have been considering subways, elevated lines, and other extravagant investments way out of scale for an urban rail starter line in a city of Austin’s size and density. The result is a $1.4 billion plan for urban rail linking a weak corridor, East Riverside, with a non-existent corridor, so-called “Highland”. 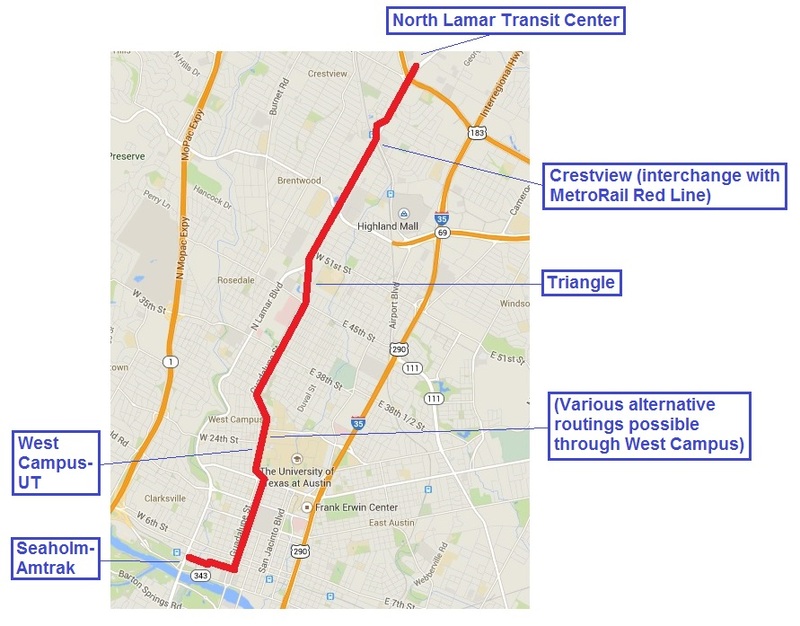 Meanwhile, Project Connect and the city’s leadership appear to have virtually abandoned the core neighborhoods, and heaviest local travel corridor, in the central city – Guadalupe-Lamar, where urban rail is desperately needed. The problem isn’t $1.4 billion for urban rail, it’s investing this money on what amounts to a very pricey decoration instead of addressing congestion with essential mobility. 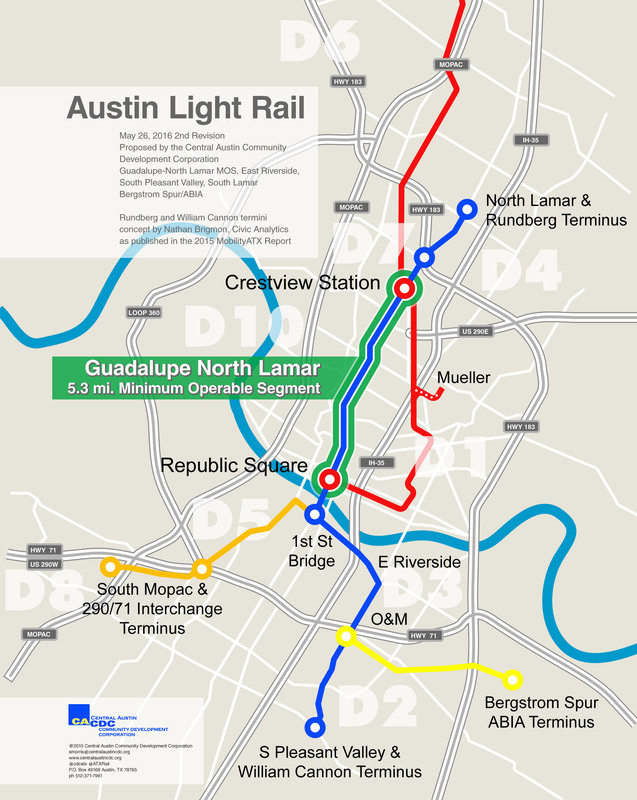 At $119 million per mile in current dollars, Project Connect’s urban rail plan for Austin would be the third most costly light rail starter line in U.S. history, in terms of cost per mile. Compared with the previous Guadalupe-Lamar light rail project, planned until 2003, Project Connect’s plan costs 29% more than what that project would cost today, yet provides 35% less route length, and 47% fewer riders. 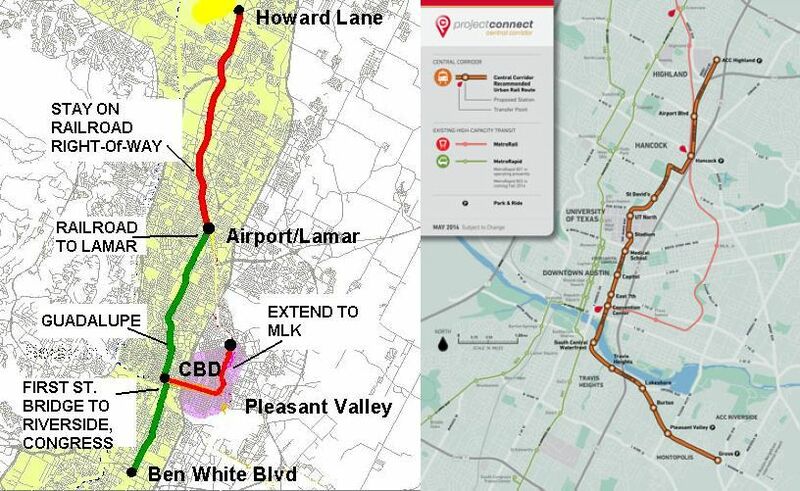 LEFT: Capital Metro 2000 urban rail plan included initial minimum operable segment (MOS) running 14.6 miles down Capital Metro railway, Lamar, and Guadalupe to CBD, plus 5.4 miles of extension down South Congress to Ben White and branch into East Austin. Total 20.0 miles of surface route (with adaptation of existing river bridge) would cost $1.2 million in current dollars ($60 million/mile). RIGHT: Project Connect plan proposes a 9.5-mile route from East Riverside, crossing river on new “signature” bridge, proceeding through east side of CBD, East Campus, along Dean Keaton and Red River to Hancock Center, then into open cut and tunnel, then along Airport Blvd. into Highland site. Total cost: $1.1 billion ($119 million/mile) in current dollars. Stretching over 14 miles from McNeil along what’s now the MetroRail corridor, then down Lamar and Guadalupe to the CBD, that original starter line in today’s dollars would cost roughly $878 million, or about $60 million per mile, for 54% more miles of route. Ridership for 2025 was projected at 37,400 per day – 87% higher than the “high” 20,000 for Project Connect’s plan. The next phase involved expanding into a larger 20-mile urban rail system for roughly $320 million more in today’s dollars, also amounting to about $60 million per mile. But that’s through the heart of central and south Austin, with over twice as much rail as Project Connect’s plan. By serving Austin’s highest-traffic, most populated, densest inner-city corridors, ridership was projected at 51,000 a day. Project Connect and Austin’s leadership seem to have abandoned all thought of cost-effectiveness and seeking the best value for spending taxpayers’ money. Now they’re playing a game of magic tricks with operating-maintenance costs and dreams of a bonanza of real estate valuation increases. 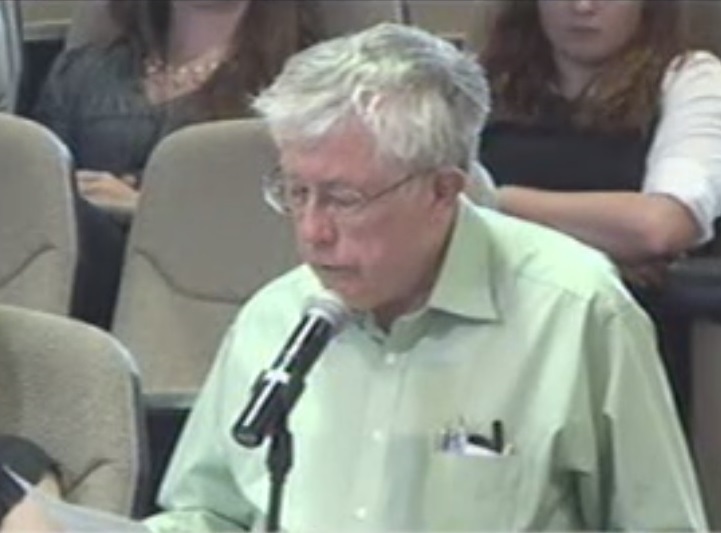 But many Austin voters realize that lower ridership means higher operating subsidies from taxpayers. And while a tax rate increase is real, projections of future tax revenues are just projections — in other words, hopes and dreams. Judging from Project Connect’s flawed, fairytale projections from last fall’s study process, Austin voters should view these hopes and dreams with strong skepticism. Lyndon Henry, a transportation planning consultant, is a technical consultant for the Light Rail Now Project, and a former board member and data analyst for Capital Metro. He also writes an online column for Railway Age magazine. Capital Metro’s 2000 MOS (dashed line) and full Phase 1 light rail plan. Map: FTA. Throughout the debate over urban rail for Austin, and especially Project Connect’s self-styled “central corridor study”, transit advocates who’ve insisted that the Guadalupe-Lamar (G-L) corridor offers a far better route alignment than the more easterly alignment preferred by Project Connect have emphasized the salient advantages of G-L — the core city’s heaviest local arterial traffic flow, vibrant and long-established commercial activity, numerous major activity centers, the very densely populated West Campus — as reasons for anticipating an extremely effective, affordable, and successful urban rail project in this corridor. This important document was formerly available on Capital Metro’s website, but apparently has been removed. This PDF was created from a hardcopy in the possession of Lyndon Henry. Project Connect’s plan, at last revealed on May 2nd to a meeting of the Central Corridor Advisory Group (CCAG), proposes an easterly alignment running about 9.5 miles from the Highland/Austin Community College site, through the East Campus of the University of Texas, through the east side of downtown, across the Colorado River, to Grove Blvd. on East Riverside Drive. The investment cost was estimated at about $1.4 billion (about $145 million per mile), yielding projected ridership of 16,000 to 20,000 per day (average weekday). 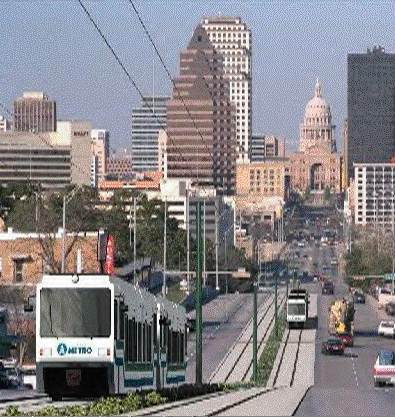 Capital Metro’s 2000 light rail plan envisioned urban rail running through the SoCo area. Simulation: Capital Metro. 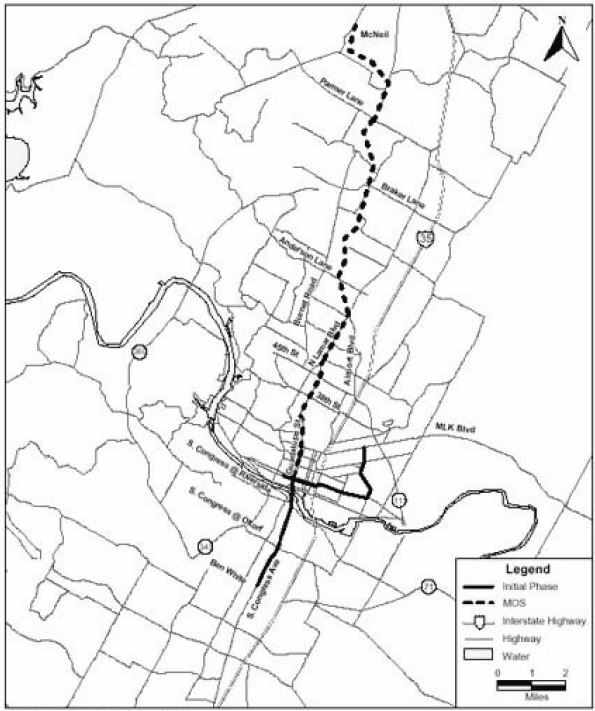 As you can see from the information in these documents, the 2000 route plan benefited from the heavy travel densities in these key central corridors, the plethora of major activity centers, and the higher population densities, especially in the West Campus area. • MOS (McNeil Rd. to CBD) — This 14.6-mile initial starter line segment was projected to cost $739.0 million in 2007 (Year of Expenditure) dollars. In 2014 dollars, this comes to roughly $878 million, or about $60 million per mile — about 41% of the per-mile cost of the Project Connect plan. That’s for about 54% more miles of route. Ridership for the forecast year (2025) was projected at 37,400 per day — 87% higher than Project Connect’s “high” estimate of 20,000 for their own plan. • Phase 1 (full MOS, East Austin, SoCo) — The full 20.0-mile Phase 1 plan carried a projected cost of $1,085.8 million in 2010 (YOE) dollars. In 2014 dollars, this tallies to about $1,198 million, or (again) about $60 million per mile and about 41% of the unit cost of the Project Connect plan. And that’s for more than double the route-mileage. Yet ridership for the 2025 forecast year was projected at 51,000 per day — over 2.5 times higher than Project Connect’s “high” estimate of 20,000. 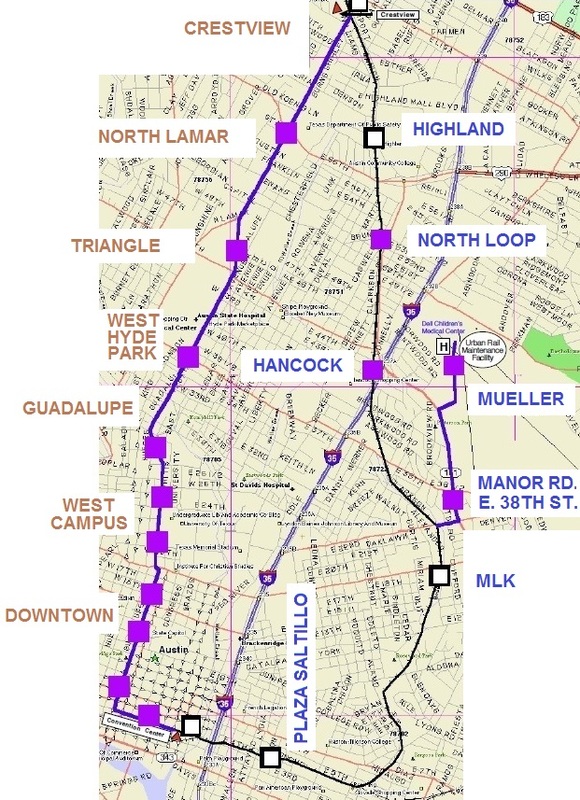 Thus, as these documents reveal, for a dramatically lower cost per mile, and total cost, either the “starter line” MOS plan or the full Phase 1 plan centered on the Guadalupe-Lamar corridor delivered strikingly higher ridership, in comparison with the proposal offered by Project Connect and Austin’s current leadership. In other words, far more bang for the buck. You are currently browsing the archives for the Austin 2000 light rail plan category.